It's summer time! You need to find places to go that are fun, but nice and cool to get out of the summer heat! Well Sky Zone is that place! They are an indoor trampoline park filled with fun for kids (and adults) of all ages! We received 4 free passes to visit or local Sky Zone and we had a BLAST!! We went on a weekend and were pleasantly surprised that the place was completely empty. There was one party in there with us, but it was nice because my kids were able to have fun without waiting in line or having a bunch of other people around them. You have to pay $1 for special grippy socks, but you can bring them back when you come back again (and believe me, you will) so it's money well spent. You walk in, they start jump times in 30 minute increments, so you might have to wait a bit. Someone goes over rules with you and then you're free to jump. We got a locker for our shoes, daughter's glasses, water bottles, etc. Locker is $.25 each time you open it. So I think we spent about $1 on the locker since we kept getting water and such. But it was worth it. They separate children and adults on opposite sides of the jump area. Which is nice because kids won't get knocked over, and again they have supervision the whole time so they are secured. My kids had a BLAST in this park. They both jumped in the foam pit (so did I and it was HARD to get back out of), they both jumped on the trampolines too and when it was time to leave there wasn't a single complaint from either of them. They were exhausted. Both fell asleep on the 10 minute drive home! You have to sign a waiver before you jump too, but you can fill this out online first and they can search your name when you get there. It's good for a whole year too! Price: 30 minutes is $10, 60 is $14. Toddler Time is $10 and toddler time pass with 10 jumps is $50. Overall: ***** We had a blast at Sky Zone and it was tiring! I've been there twice and it is quite the workout, but it's a lot of fun. 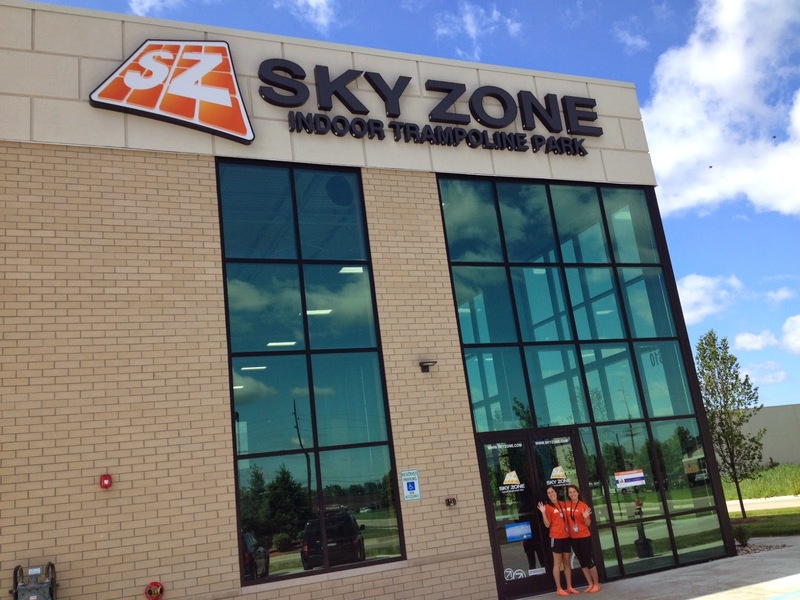 my daughter has been to skyzone in canton, i would love to take both my kids there!